Time on a slowcore record somehow seems to move in hours rather than minutes, but what indie rock band The New Year does so well is make that introspective journey as pretty and memorable as possible. 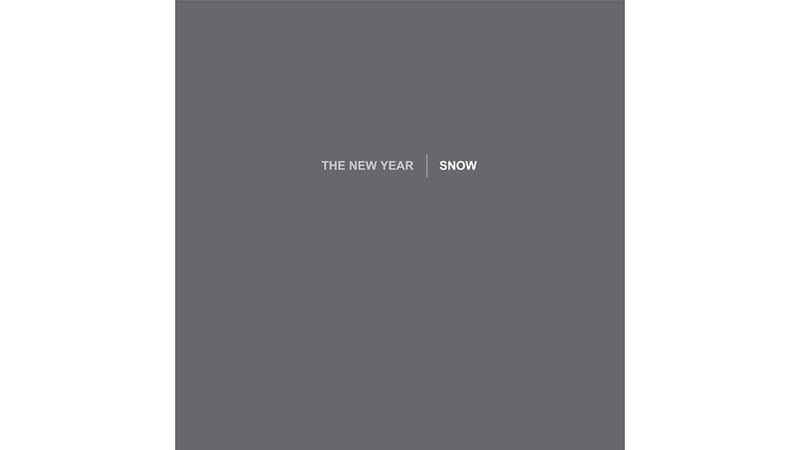 Snow doesn’t sound that much different from their three previous albums, but it never hurts to stick with what works, and this, their first album in nearly a decade, is a powerful, understated and timeless rock album. The band was formed by the Kadane brothers, Matt and Bubba, who, as producers, songwriters, vocalists and guitarists, have often paired up on previous indie projects like Bedhead and Overseas (with help from producer Steve Albini). With each album, the pair craft roughly the same sound: downbeat indie-rock and slowcore with thought-provoking messages and minimalist, pristine production. It’s not that they’re out of ideas; it simply means they continue to find an open seam through which they can gently, yet expertly, mine unpolished feelings of regrets or dreams or isolation, themes almost everyone can relate to. Every sound in The New Year is stellar, but a word should be said about New Year drummer Chris Brokaw, formerly of Codeine and Come. He often doesn’t join in until a song is well under way, or only steps out when tension, like in “The Beast,” or the punk-ish “The Party’s Over,” finally picks up. Brokaw wisely stays in the shadows as much as possible, then arrives in perfect lockstep, as if he never left. That’s a good timekeeper. The goal with a New Year record is to come away feeling lighter, or at least cleansed of some of the bad stuff. The Kadanes do that through their lyrics as well, which focus on one or two things at a time, like a wandering ghost in “Homebody” or the bitter remnants of a dead romance in the surprisingly upbeat “The Last Fall.” There really isn’t room to talk about a lot of things—each subject they approach is weighty and broad enough on its own—but on Snow, The New Year takes those dark, hidden feelings and makes them joyous.